Why Has My Cat Lost Her Voice? When a cat loses its voice, a likely cause is laryngitis, according to WebMD. Cats can develop laryngitis from excessive meowing, or they may be suffering from anxiety or stress. Laryngitis is a condition that causes severe inflammation of the larynx, which controls the vocal chords. Other medical conditions, such as allergies, chronic cough, throat infections and tumors, may also trigger laryngitis in felines. Cats are susceptible to respiratory problems similar to humans. For instance, inhaling dust, debris, gas, smoke and foreign objects are common causes of cat laryngitis, according to the Merck Manual for Pet Health. A key sign that a cat has this condition is swelling of the mucous membranes and excess fluid buildup. Owners may notice that the cat has developed a chronic cough that may start out harsh and become soft as the voice disappears. She may also show signs of breathing difficulties. 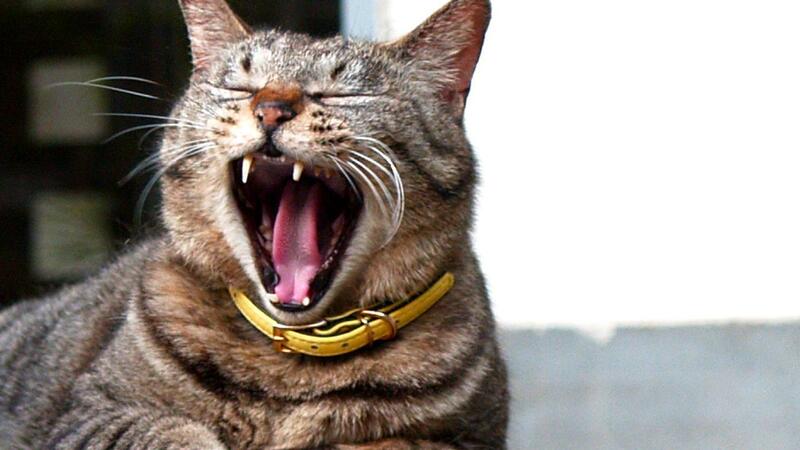 A cat with laryngitis may struggle to eat because it hurts when she swallows. A definitive diagnosis of laryngitis can be made following a veterinary examination. In these cases, the veterinarian uses an endoscope to fully examine the larynx, according to the Merck Manual for Pet Health. Any obstruction found in the throat is removed. The veterinarian may also prescribe medication or diuretics to reduce inflammation and swelling. What Causes a Cat to Cough? What Are the Symptoms of Cat Health Issues? What Are the Symptoms of Laryngitis? What Is the Fastest Way to Cure Laryngitis? Why Does My Cat Still Have Fleas After I Used Frontline? What Would Cause a Cat to Sneeze More Than Usual? What Would Cause a Cat to Sneeze a Lot?